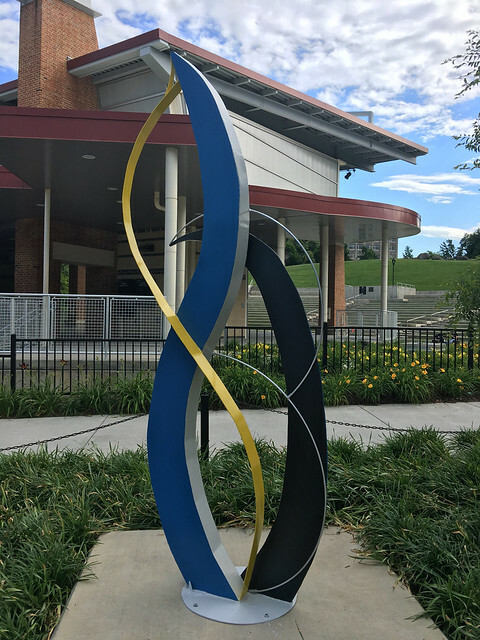 Locals and visitors now have the opportunity to see some new art sculptures at Elmwood Park in Downtown Roanoke in Virginia’s Blue Ridge. 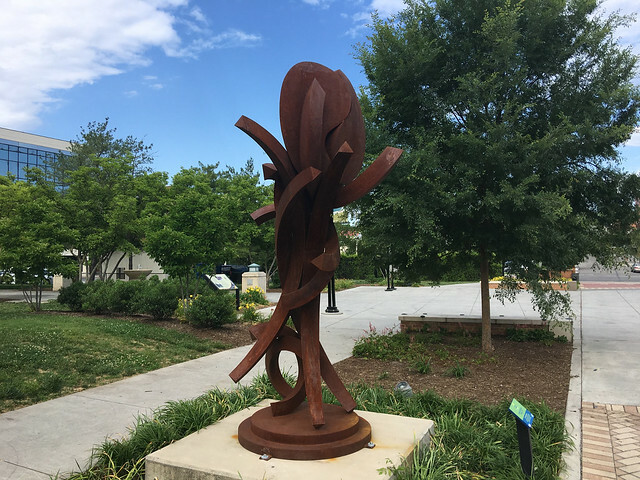 The temporary exhibit is presented by the City of Roanoke and Roanoke Arts Commission and its the second exhibition of the Art Walk in Elmwood Park. 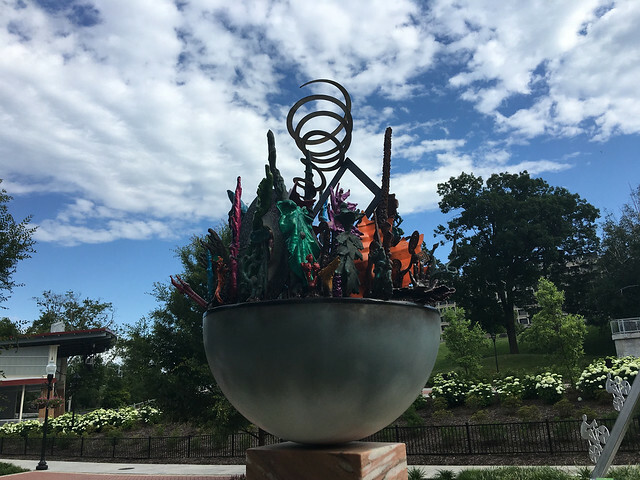 Nine sculptures were installed in the park in May 2017 and the pieces are based around the theme - “City in Motion.” The works will be on display for 18 months. 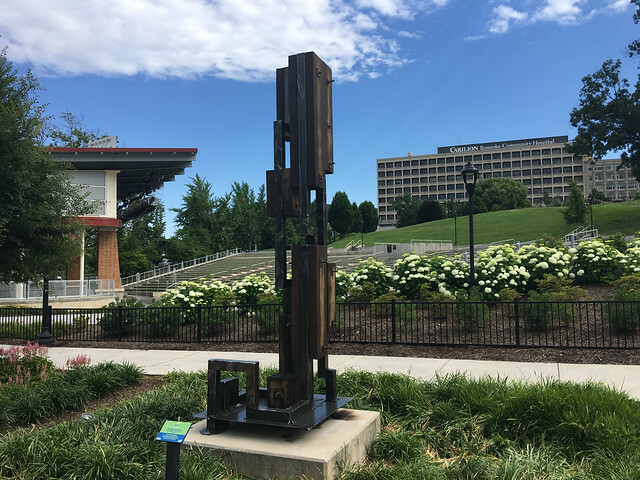 The “City in Motion” theme is inspired by Roanoke’s rich history as a city built around transportation as a former railroad hub, as well as the continued growth and renaissance the city is experiencing today and movement toward the future. As you walk through the Art Walk, be sure to download Otocast app (available for Apple & Android) - a free tool that provides you the opportunity to listen to the artists describe the work you’re looking at. The following is a list of the art pieces on display. Dancing in the Moonlight was selected as the winner of the People’s Choice Award during the recent Festival in the Park. 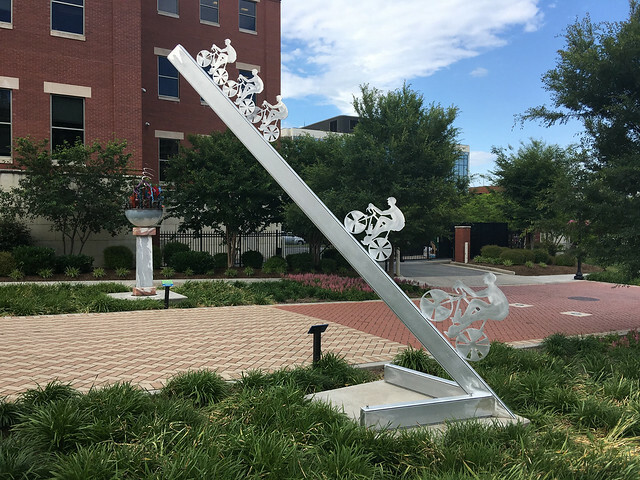 Attendees selected this piece as their favorite sculpture along the Art Walk. 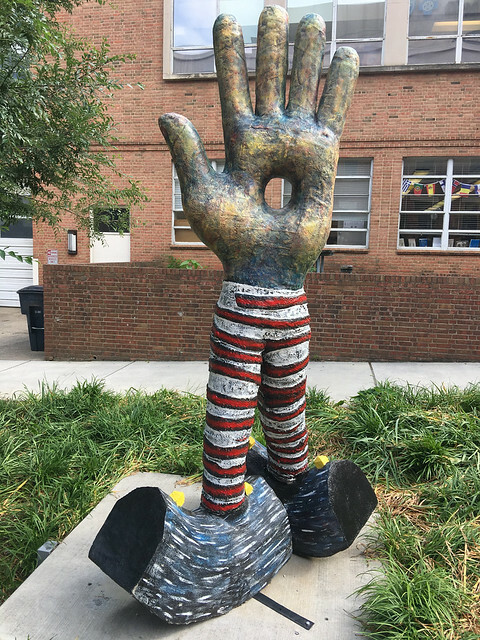 This is a permanent sculpture along the Art Walk that was selected as the People’s Choice Award winner during the first Art in Elmwood exhibition. 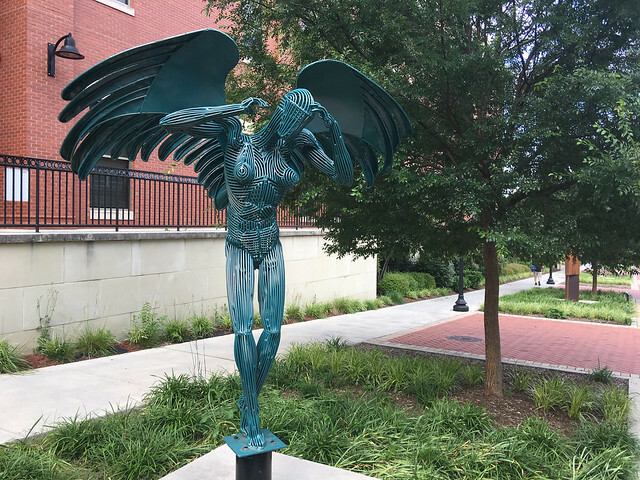 Taking in these pieces can be part of a fun-filled Blue Ridge Day in Downtown Roanoke. 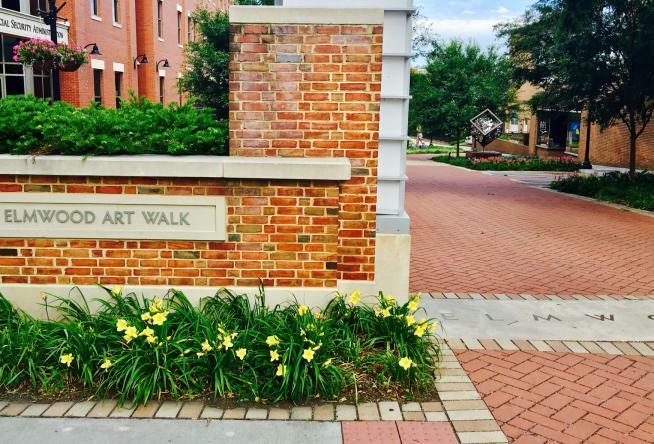 The Elmwood Art Walk is just a short distance from popular attractions such as the Historic Roanoke City Market, Center in the Square, and a variety of local downtown shops. 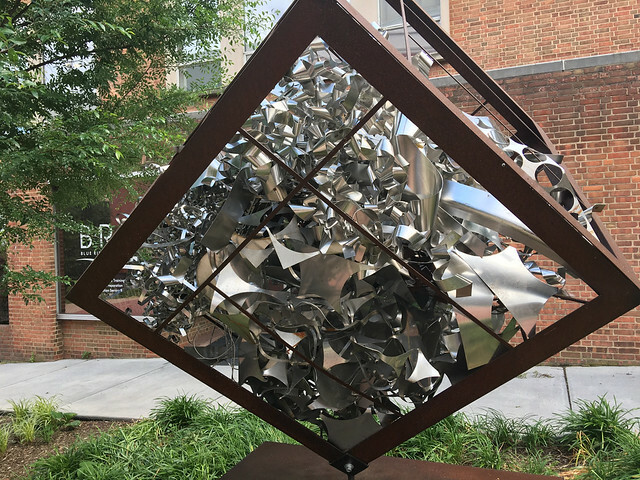 The Art in Roanoke exhibition is the latest opportunity for visitors to enjoy some fascinating local art in Virginia’s Blue Ridge. 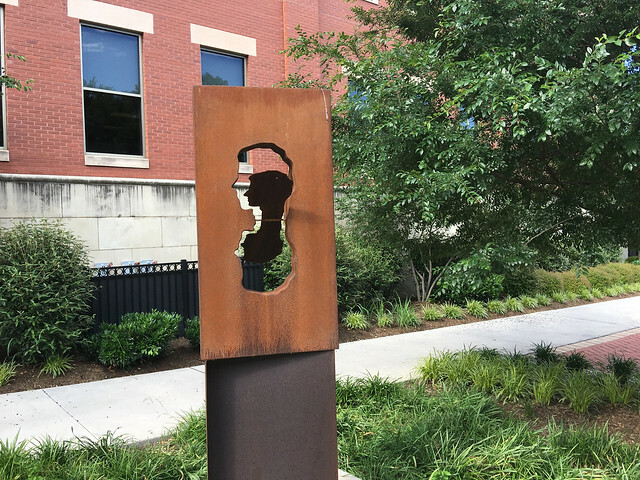 For more opportunities, check out our blog post featuring unique works of public art, as well as our section on Art Galleries.